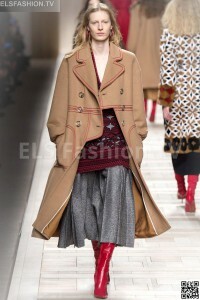 Fendi designed its collection with dominant color black, red, brown, blue, white, beige. 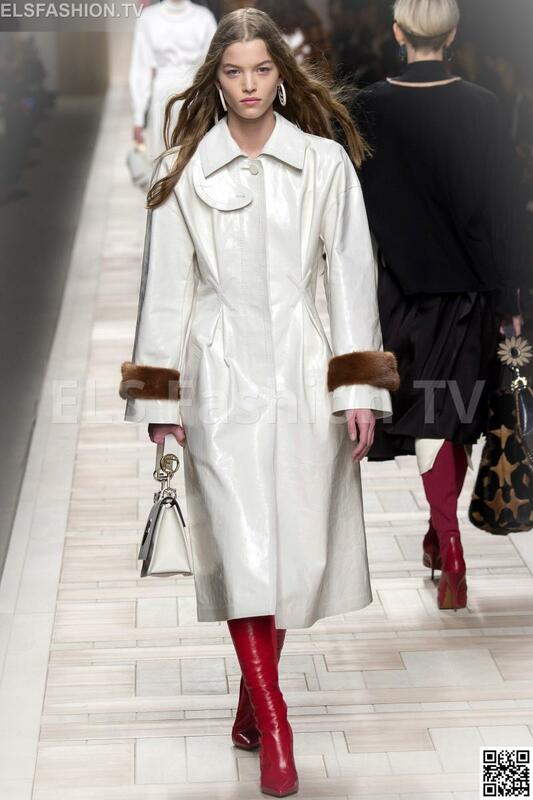 The used materials: cotton, wool, fur, velvet, silk, cashmere, snake skin, leather, tulle and organza. Lenghts: various. Shapes: tailored jackets are worn with shirts, while short tops are paired with A-line skirts. Double breasted coats are worn with straight or pleated skirts. Cut-out detail mini dresses. Long dresses. 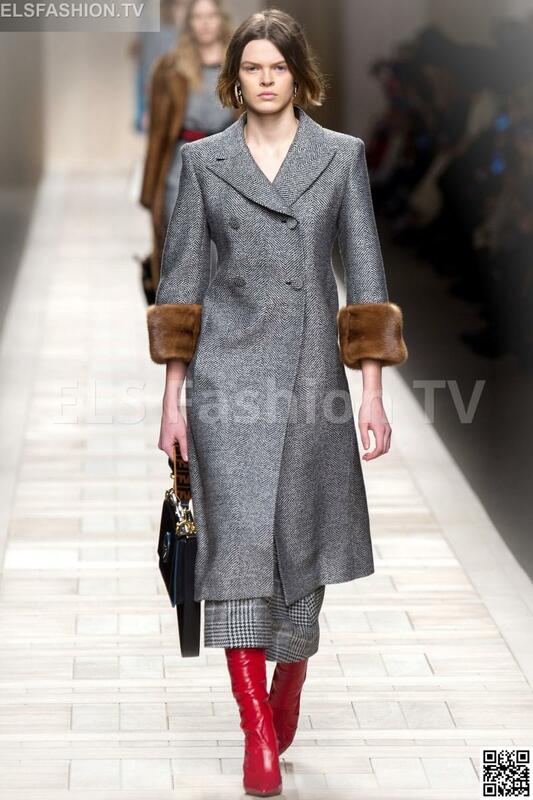 ELS Fashion TV presents the Fendi full collection. 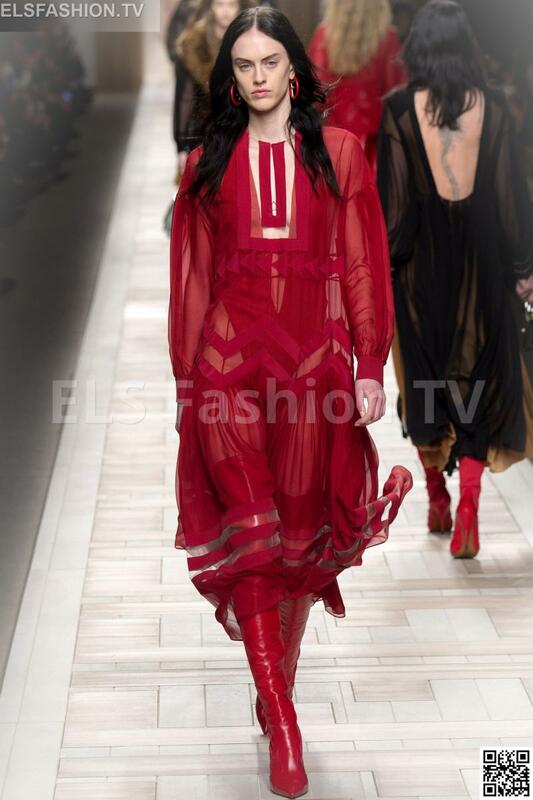 Click on any image below to enjoy the full Fendi fashion shows Collection with 48 shoots!.